This summer, the Millsboro Public Library created a container garden to encourage children to learn about science, nature, nutrition, and more! 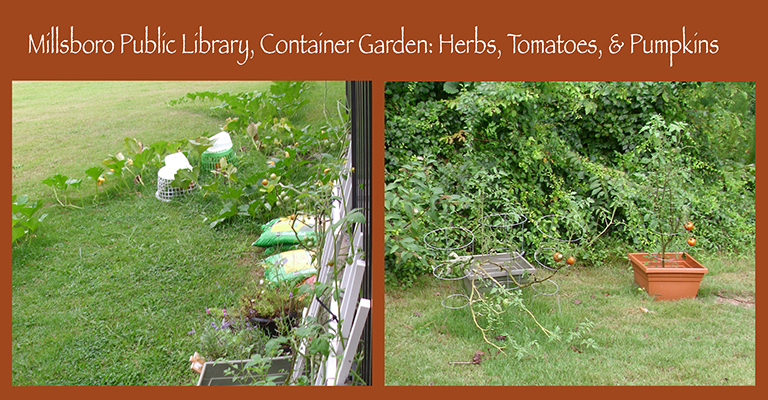 The children grew tomatoes, lavender, rosemary, cherry tomatoes, cucumbers, zucchini, and pumpkins. Library Director Mary Brittingham told us, “The children particularly like the little cherry tomatoes because they are just the right size to hide inside their cheeks.” Congratulations on the wonderful program Millsboro Public Library!